Just because the weather is warm doesn't mean that you can't rock a dress with sleeves. 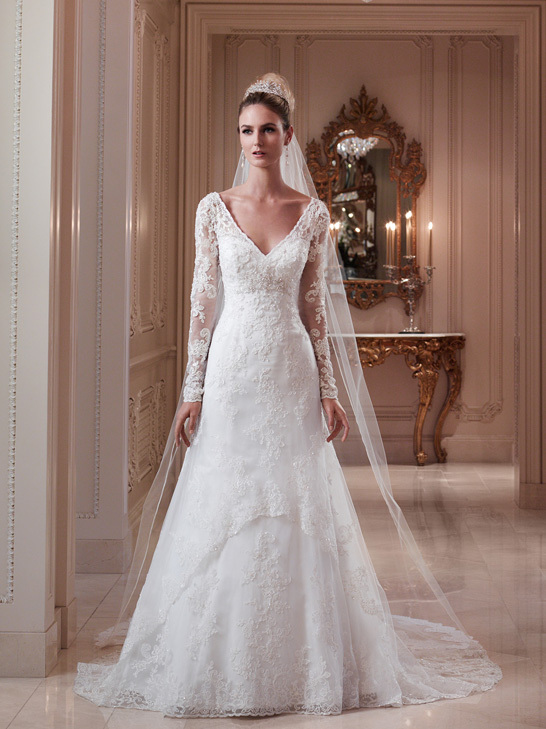 As long as you stick to a lace material, the sleeves will be breathable so you can stay cool on your big day. The intricate nature of the lace makes a beautiful statement as you make your grand entrance down the aisle. Sophia Kokosalaki, a Greek fashion designer, just came out with her line of spring and summer dresses for 2014. The collection featured two off the shoulder gowns made of silk chiffon for a dreamy, delicate and feminine wedding look. You're going to awe people with the front of your gown, but what about the back? 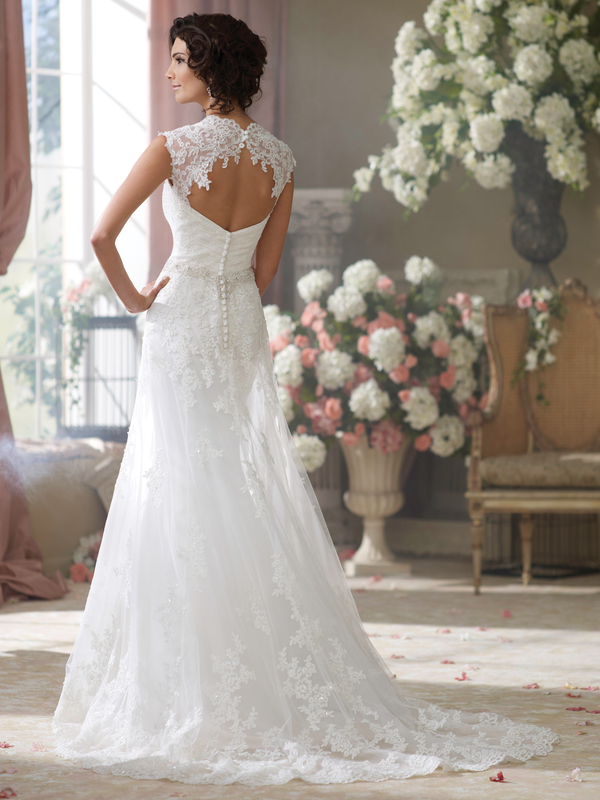 Brides are leaning toward dresses with stunningly detailed backs, whether it's a large keyhole or beautiful lace tied together with a bow. It exposes part of your back while still offering the perfect amount of coverage.